Fossiliferous limestone is a form of limestone sedimentary rock. This variety is often white, pink, red, buff, gray or black and has plant or animal fossils in the matrix of the rock. 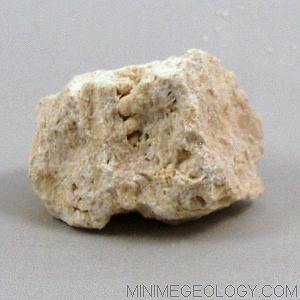 Like other limestones, fossiliferous limestone is composed of calcite and will dissolve in acid.